We are confronted by a multitude of security threats and diplomatic challenges but the prophets of doom and gloom are selective and masochistic. 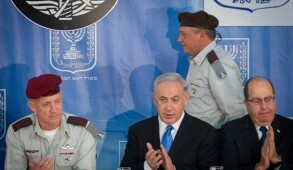 Israel is a democratic oasis in a region that has reverted to the Dark Ages and barbarism. We face ongoing terror throughout the land accompanied by direct threats from Iran and its satellite, Hezbollah, and we are aware that the only factor deterring these terrorist entities is the power of the Israel Defense Forces. On the diplomatic front, despite the renewal of crucial long-term U.S. defense support, the Obama administration — at best — continues to treat Israel and the Palestinians with moral equivalence. 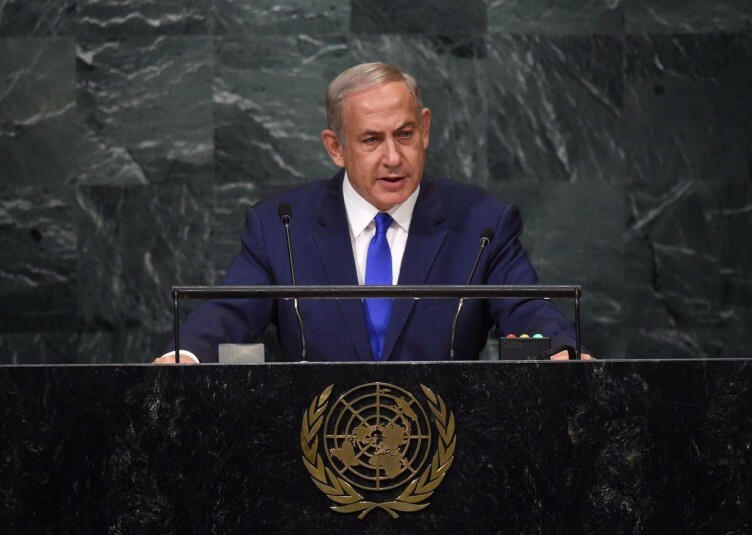 There is concern that after the presidential elections, President Barack Obama may enable the United Nations Security Council to pass a resolution that would undermine Israel’s central security requirements and negate her needs for defensible borders. 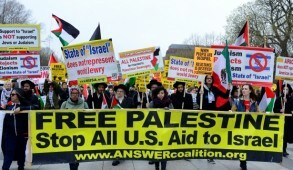 Many American Jewish leaders lack the will to resist and tend to be neutral. They feel that by criticizing or distancing themselves from Israel, they will ingratiate themselves with their liberal friends for whom antipathy to Israel is a basic prerequisite. These trends also reflect the impact of intermarriage and confusion of Jewish values with universalistic rhetoric. Notwithstanding this disturbing trend, the overwhelming bulk of observant Jews remain committed to Israel. Unfortunately, any realistic hopes for a peace settlement are delusionary with the current Palestinian leadership. 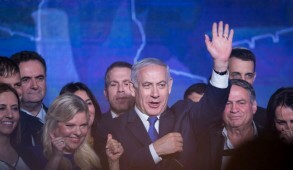 Yet Prime Minister Benjamin Netanyahu, who has made major concessions that even Yitzhak Rabin vowed he would never permit, is being blamed for not finding a solution. Nevertheless, as we move into the New Year 5777, we must resist pessimism and assess our situation in the context of the dramatic overall progress we have achieved in nearly every field. A review of the rest of the world reveals that today, nearly every nation is facing threats from Islamic fundamentalist terror. The situation for Jews in Europe, which only recently boasted that it had erased the alleged evils of nationalism, is appalling. Jews, more so than their neighbors, are subject to abuse, violence and terror attacks from crazed Islamic fanatics heightened by the ISIS terrorists who are imbedded among the millions of Middle East “refugees.” Even in the U.S., the “goldene medina,” Jews, especially university students, are experiencing an unprecedented intensification of overt anti-Semitism. What would the future portend for us today were we reliant on the “sympathy” of the world and not empowered with a Jewish state that fights the battles for Jews everywhere and provides Diaspora Jews with the assurance that even if their world collapses, they will always find haven in Israel? The reality is that few of us appreciate that we live in an age of miracles no less dramatic than our Exodus from Egypt. We must be grateful that within the relatively short span of 68 years, we have not merely resurrected ourselves as a state and grown tenfold, but achieved one of the greatest national success stories in recorded history. 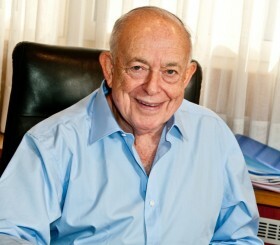 Holocaust survivors, persecuted Jews from Muslim countries, Jews suffering oppression in the countries of the former Soviet Union, Ethiopian Jews and others from all corners of the globe have participated in the ingathering of the exiles and have miraculously been molded into the dynamic, pulsating and resilient powerhouse that Israel represents today. We take for granted that the IDF is, by far, the most powerful military force in the region, capable of deterring and, if necessary, defeating the combined forces of all our adversaries. We have no illusions about the flagrant bias and pogrom atmosphere generated against us at the United Nations. But our alliance with the American people, based on shared values, remains as strong as ever. Admittedly, anti-Israeli hostility from the radical wing of the Democratic Party has been heightened by Obama’s obsession to “create daylight” between Israel and the U.S. in order to appease the Muslim world. Yet this did not inhibit the extension of a 10-year military aid commitment which reinforces the premier alliance we enjoy with the U.S. 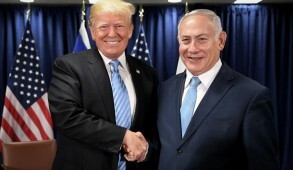 But beyond the alliance with the U.S., Israel under Netanyahu has deepened its relationship with a wide spectrum of nations over the past 12 months. Ironically, there is a hope that the remarkable and unprecedented relationship with Russia’s Putin could even be an additional factor deterring Iran and Hezbollah from renewing hostilities. But the greatest reason for us to rejoice is that we, from all ideological streams, are privileged to bring up our children as proud and committed Jews living in a Jewish state that provides a Jewish education, and in which the Hebrew language, culture and festivals create a unique Jewish lifestyle. This is encapsulated by a pulsating modern Hebrew language, which is the lingua franca for Jews from totally different cultures; religious studies in schools and yeshivot with more Jews familiar with the texts and teachings of Judaism than at any time in our history; and the privilege of living in a Jewish state where our youth does not experience the anti-Semitism that their Diaspora counterparts must increasingly endure. Yes, we have a dysfunctional political system and societal squabbles. But we remain a democratic state and today there is a greater consensus than at any time since the disastrous Oslo Accords divided the nation. The vast majority recognize that a one-state solution would destroy us but also realize that we cannot make further territorial concessions until we have Palestinian leaders willing to make peace. In the meantime, despite opinions to the contrary, Israel has managed to flourish with the status quo since 1967, with surveys ranking Israelis among the happiest and most contented people in the world. 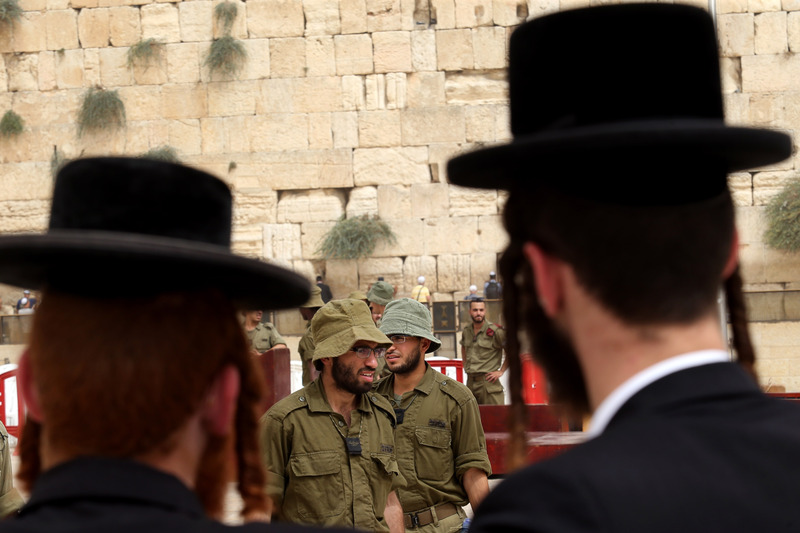 Notwithstanding a bigoted and obscurantist Chief Rabbinate and extremist haredi political parties, Israelis overall have become more observant and respectful of tradition. There is also every indication that over the next decade, economic pressures will have a profound impact on the ultra-Orthodox and will gradually bring about their integration into Israeli society. Our grandparents would not have remotely dreamed that immediately after the Holocaust, like a phoenix rising from the ashes, a Jewish state would be created, and would within 70 years be the largest Jewish community in the world. Indeed now is the time for Diaspora Jews — especially those in Europe — to honestly question the quality of Jewish life available to their children in an increasingly hostile environment. Hopefully, many will join us in our great venture or at least encourage their children to do so. We will welcome them with open arms and are confident that they too would appreciate why we consider it a joy and a privilege as Israeli Jews to live in our own homeland, with every reason to be optimistic about the Jewish future. 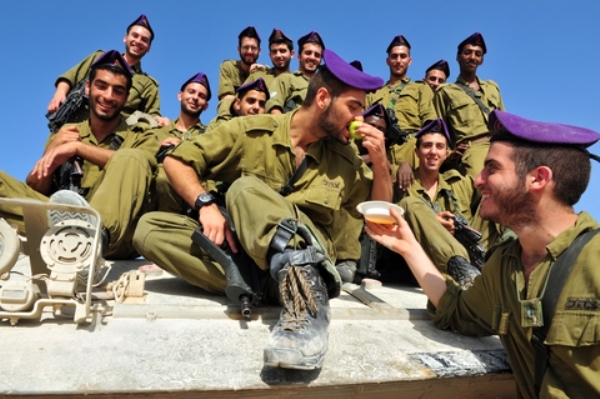 Despite the challenges facing us, we are the blessed generation of Jews. We should give thanks to the Almighty and pray that He continues watching over us during these turbulent times.